With Our Camden N1 Office Cleaning Services NW1 Your Office Will Always Look In Immaculate Condition and that’s a Guarantee! Camden Cleaners is a professional NW1 cleaning company and with that said, we know what it is like to have to put on a professional appearance in front of clients. 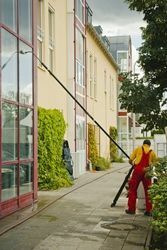 We know that in order to maintain a neat and attractive looking commercial environment or office space, you must make sure that your office is kept in immaculate condition at all time and this is where our professional NW1 cleaning company comes in handy. At our Camden cleaning company we will successfully clean every item of your office so that your office space never lets you down in front of potential or existing clients, business partners or staff. It is important for your business, image and professionalism to have a clean and well presented commercial environment, as anybody entering in to your premises will certainly pick up on the cleanliness and overall appearance of the place – and that includes your staff too! In order not to lose out on any potential business or hard working employees who are entering in to your work place for the first time, you need to make a good impression and one of the first and most important ways of doing so is by making your office space a clean, neat and welcoming place for everyone. In addition to this, it is not just new clients and business partners that you should be thinking of pleasing and appealing to, as your existing partners, clients and employees should always come first and you should never stop thinking about them. A cleaner and fresher smelling office is a happy environment, which will help to make the premises a more cheerful and positive place to work in, even in those times when you are up to your elbows in paperwork and are made to stay long hours working at the office. If you would like more information on our NW1 office cleaning services then give us a call today on 020 3397 8237. If you are looking for convenient N1 office cleaning Camden services that are guaranteed not to inconvenience you at all and that certainly will not get in your way or cause you any business downtime then we can be the team to help you. Our professional team of N1 cleaners are used to operating office cleans on a regular basis and therefore taking on the task of cleaning your property really need not be a problem either because we will make sure that we complete your full, thorough office cleaning at a time that is most convenient for you and so if that means our WC1 cleaning team coming during the evening or before your office opens for the day, or even across a weekend then that is what we will do! When we come to clean your office property for you we will clean every item in your office and will leave your office looking cleaner, smelling fresher and appearing overall a lot brighter that what it was before. We guarantee high quality results after every visit, so why wait to hire our professional WC1 office cleaning services N1 when you can easily benefit and make use of our professional Camden cleaning company today! For more information or for a free no obligations quote simply give Camden Cleaners a call today on 020 3397 8237.